2015 Bagooaduth Kallooa, Photoshare. A Diabetic Specialist Nurse in Port Louis, Mauritius, teaches a patient simple limb exercises. Diabetes is a ‘top-5’ leading cause of death in most high income countries. 387 million people (77% living in LMICs) had diabetes in 2015, and without effective prevention and management programmes this number is expected to rise to 592 million by 2035. Despite how serious diabetes can be, around half of those who have diabetes, don’t know they have it. Diabetes and its complications are major causes of death in most countries. 415 million people (83% living in LMICs) had diabetes in 2015 and this number is expected to rise to 642 million by 2040 despite better awareness and new developments in treatment and prevention. Around half of people currently living with diabetes do not know they have it. Diabetes is a chronic condition that occurs when the body cannot produce enough insulin or cannot use insulin, and is diagnosed by observing raised levels of glucose in the blood. Insulin is a hormone produced in the pancreas; it is required to transport glucose from the bloodstream into the body’s cells where it is used as energy. The lack, or ineffectiveness, of insulin in a person with diabetes means that glucose remains circulating in the blood. Over time, the resulting high levels of glucose in the blood (known as hyperglycaemia) causes damage to many tissues in the body, leading to the development of disabling and life-threatening health complications. Type 1 diabetes is caused by an autoimmune reaction, in which the body’s defence system attacks the insulin-producing beta cells in the pancreas. As a result, the body can no longer produce the insulin it needs. Why this occurs is not fully understood. The disease can affect people of any age, but onset usually occurs in children or young adults. People with this form of diabetes need insulin every day in order to control the levels of glucose in their blood. With daily insulin treatment, regular blood glucose monitoring and maintenance of a healthy diet and lifestyle, people with type 1 diabetes can lead a normal, healthy life. Without insulin, a person with type 1 diabetes will die. The number of people who develop type 1 diabetes is increasing. The reasons for this are still unclear, but may be due to changes in environmental risk factors, and/or viral infections. Type 2 diabetes is the most common type of diabetes. It usually occurs in adults, but is increasingly seen in children and adolescents. In high-income countries up to 91% of adults with the disease have type 2 diabetes.In type 2 diabetes, the body is able to produce insulin but becomes resistant so that the insulin is ineffective. Over time, insulin levels may subsequently become insufficient. Both the insulin resistance and deficiency lead to high blood glucose levels. Many people with type 2 diabetes remain unaware of their condition for a long time because the symptoms are usually less marked than in type 1 diabetes and may take years to be recognised. Although the exact causes for the development of type 2 diabetes are still not known, there are several important risk factors. The most important are excess body weight, physical inactivity and poor nutrition. Other factors which play a role are ethnicity, family history of diabetes, past history of gestational diabetes and advancing age. The number of people with type 2 diabetes is growing rapidly worldwide. This rise is associated with ageing populations, economic development, increasing urbanisation, less healthy diets and reduced physical activity. Gestational diabetes affects 1 in 7 births. Women with slightly elevated blood glucose levels are classified as having gestational diabetes. This tends to occur from the 24th week of pregnancy. Women with elevated blood glucose levels during pregnancy are at greater risk of adverse pregnancy outcomes. Gestational diabetes normally disappears after birth but women who have been previously diagnosed are at higher risk of developing gestational diabetes in subsequent pregnancies and type 2 diabetes later in life. Babies born to mothers with type 2 diabetes also have a higher risk of developing type 2 diabetes in their teens or early adulthood. Many countries are still unaware of the social and economic impact of diabetes. This lack of understanding is the biggest barrier to effective prevention strategies that could help halt the inexorable rise of type 2 diabetes. The IDF Diabetes Atlas is the authoritative resource on the global burden of diabetes. First published in 2000, it is produced by IDF biennially in collaboration with experts from around the world and contains data on diabetes cases, prevalence, mortality and expenditure on the global, regional and national level. Figures from the Atlas are frequently quoted in scientific papers and by the media. The IDF Diabetes Atlas is considered as one of IDF’s most valuable and visible projects. A full IDF Diabetes Atlas report is produced every two years. The theme for World Diabetes Day 2018 is The Family and Diabetes. Families have a key role to play in addressing the modifiable risk factors for type 2 diabetes. Diabetes Atlas is a global reference report setting the standard for estimates of diabetes prevalence and its related burden. Women with diabetes face unique and multiple barriers to accessing cost-effective diabetes prevention, early detection, diagnosis, treatment and care, found the 8th edition of the Diabetes Atlas. 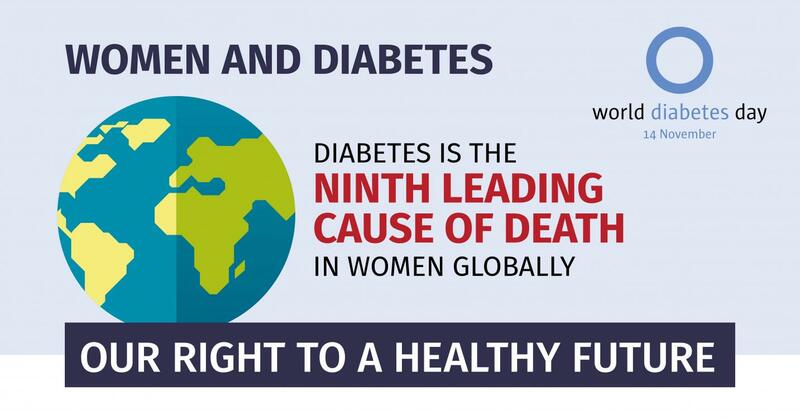 The theme of World Diabetes Day (WDD) 2017 - 14 November - is Women and Diabetes, with the slogan "Our right to a healthy future". Download infographics and other resources from the campaign website. 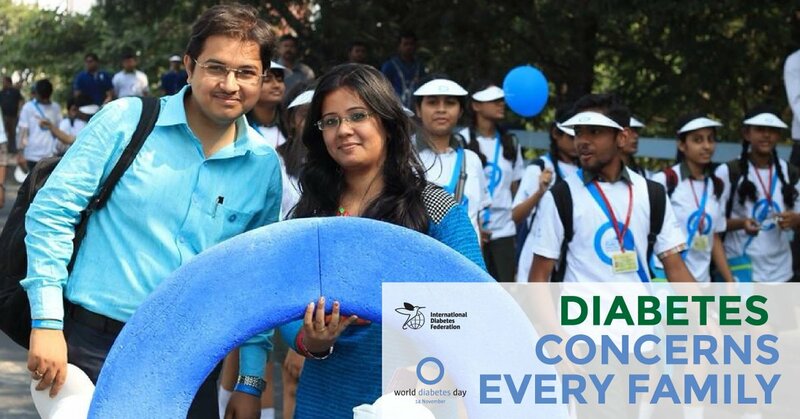 World Diabetes Day is celebrated annually on November 14. The theme this year is Eyes on Diabetes. Activities and materials will focus on promoting the importance of screening to ensure early diagnosis of type 2 diabetes and treatment to reduce the risk of serious complications. The government of the UK now joins countries such as Mexico, France, Norway and South Africa in the taxation of sugar-sweetened beverages.